If you do quite a bit of online research, you know how hard it is to track down numerical data and statistics relating to a topic using mainstream search engines. Zanran can help. Currently in beta, Zanran is a search engine that looks for semi-structured data. That’s data in the form of images (e.g., charts, graphs) and tables. Zanran then takes text near the image/table and focuses its search engine on that text. In its current form, Zanran extracts images and tables from HTML, PDF and Excel files. Future incarnations of the search engine will also be able to extract data from PowerPoint and Word documents. 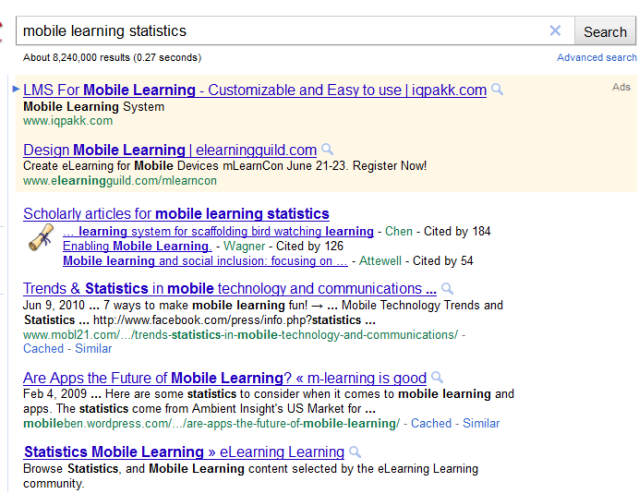 Compare the results page for a search using “mobile learning statistics” as keywords in Zanran and Google. 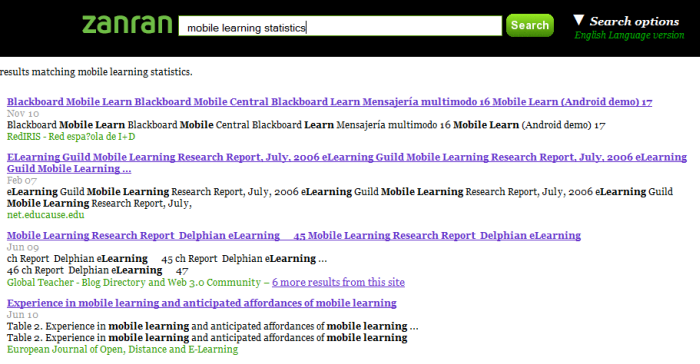 Zanran results page for mobile learning statistics. Zanran currently picks up pdfs for this search and the results are quite different from what Google’s search engine identifies (not necessarily better, but the differences are worth exploring). A particular value-add of Zanran is the ability to hover over the pdf icon associated with a particular search result to get a clear view of the image(s) associated with it. Using this feature, you can quickly hone in on the actual data that’s in the article. 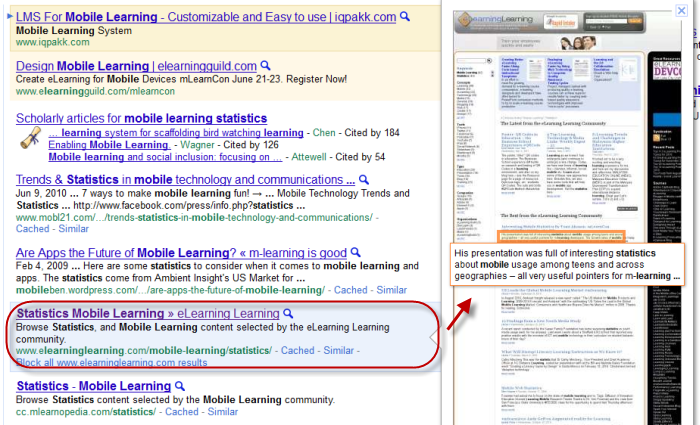 If you read this blog, you know I don’t encourage reliance on a single search engine. Zanran is a useful tool for expanding searches, particularly when numerical data are important. It’s not 100% accurate in its ability to find images with numbers in them so you will get some non-numerical images in your mix. However, you’ll be able to quickly cull through these and you may find these articles interesting in any case. Most importantly, Zanran identifies articles you just won’t find readily using a Google search. 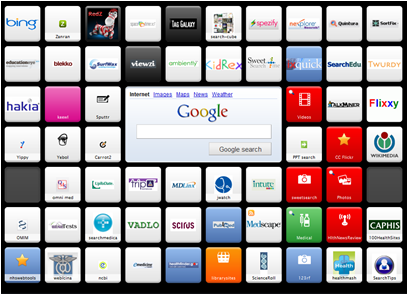 I’m definitely adding this search engine to my search engine collection on Symbaloo.